A Libyan airliner arriving from South Africa disintegrated on landing at Tripoli airport Wednesday, killing 103 people but leaving an eight-year-old boy as the sole miracle survivor, officials said. Some nine hours after the 6 am (0400 GMT) crash, the child underwent surgery at a Tripoli hospital where medical staff said his condition was not life-threatening. "The boy suffered broken legs and was injured in the head," a hospital official told reporters after the child came out of the operating theatre. 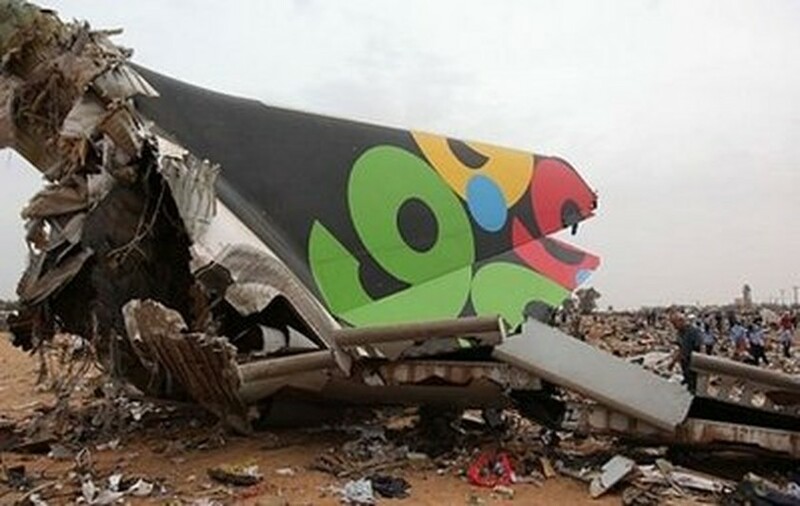 A closeup shows the tail of an Afriqiyah Airways passenger plane which crashed during landing at Tripoli airport. EU parliament president Jerzy Buzek described the boy's survival as "truly a miracle." 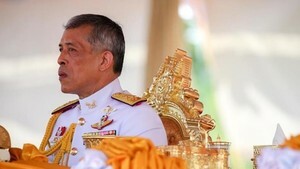 "It exploded on landing and totally disintegrated," one security official told AFP, speaking on condition of anonymity. Another official said the plane had burst into flames just before landing. Prime Minister Jan Peter Balkenende reacted with "shock" to the loss of life while Queen Beatrix's press office said she was "horrified." It was founded in April 2001 and at first fully owned by the Libyan state. The company?s capital was later divided into shares to be managed by the Libya-Africa Investment Portfolio.